No more fumbling with lint brushes or balls of sticky tape. Scotch-Brite® Lint Rollers remove lint, pet hair and dust from your clothes with a quick and easy rolling motion so you're always looking your best. They are also perfect for use on curtains, couches and other fabrics. When the roller is full, simply peel away the outer layer and a new layer is revealed so you can roll on and on. 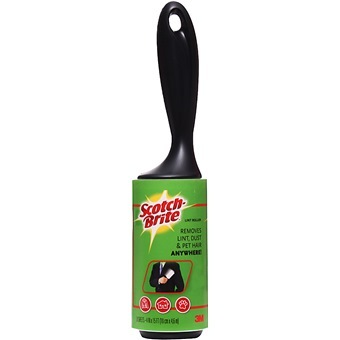 Scotch-Brite® Lint Rollers are handy for cleaning up mess from arts and crafts, including pencil shavings, glitter, thread and paper off-cuts. This is one clean up job the kids might actually enjoy doing themselves.